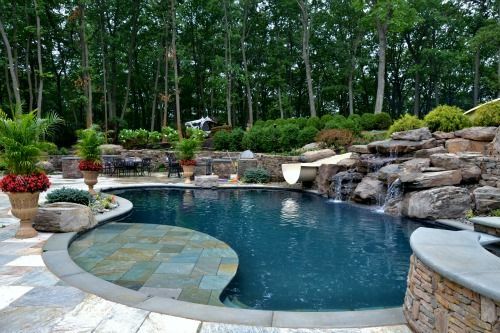 Built into a steep slope with natural boulders, this extensive pool is the focal point of the entire property. 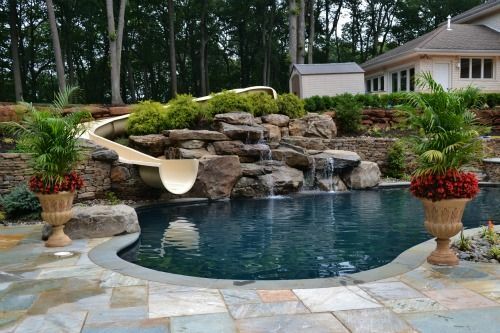 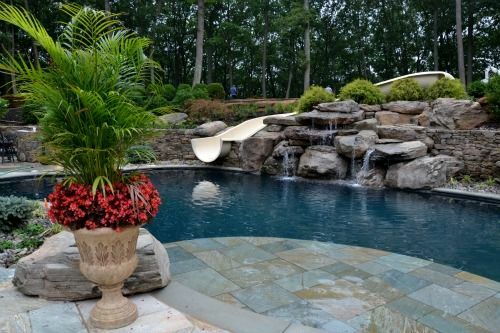 A custom large water slide and jumping rocks make this a dream come true pool for children. 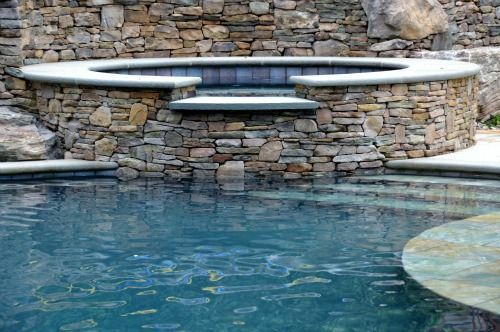 Set into its own natural surroundings, this residential swimming pool design balances both aesthetic beauty and fun. 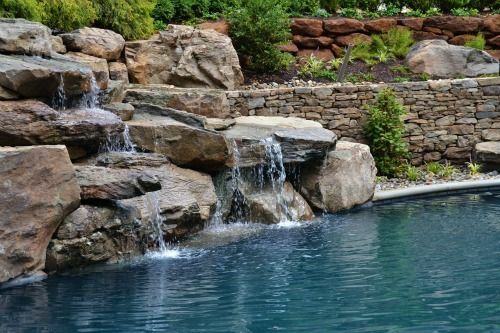 With a waterfall feature and spa, this inground pool mirrors a resort. 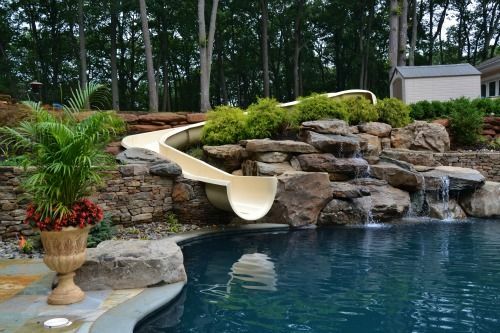 The addition of a slide allows for family fun and a great feature to entertain and impress all guests.